Facebook harvested the email contacts of 1.5 million users without their knowledge or consent when they opened their accounts. Since May 2016, the social-networking company has collected the contact lists of 1.5 million users new to the social network, Business Insider can reveal. The Silicon Valley company said the contact data was “unintentionally uploaded to Facebook,” and it is now deleting them. Again I will say what few in the media seem willing to: Facebook is a criminal enterprise. My heart is broken by your tragic fire. 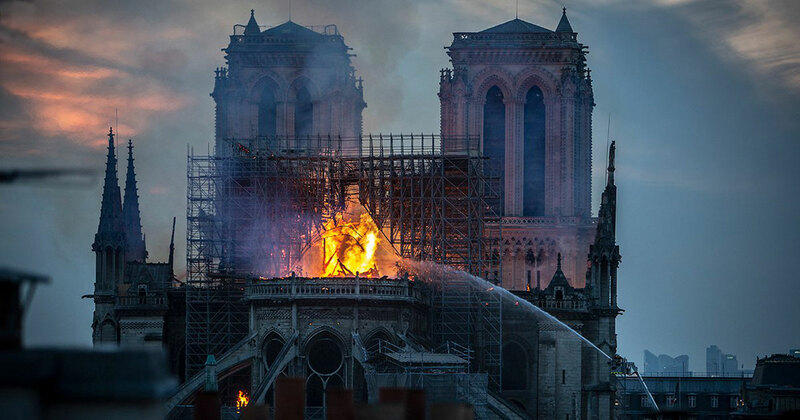 I love Paris and I have confidence in your ability to restore this architectural masterpiece. I know the heart of France is strong. We are with you. Vive la France!!!! Lately I’ve been waking up thinking about my Dad. I have one of his books by my bedside table. He was the one who gave me my fIrst ukulele and showed me a few chords as he sang “Bury Me out on the Prairie’. He was the one who drove me to my morning paper route, delivering his paper, The Globe and Mail, where he wrote a general column for years. He was the one making me butter sugar and lemon roll up pancakes when I got home from the route on my bike. When my family broke up, I was twelve. My mom and I moved to Winnipeg Manitoba in the mid-west of Canada. My brother Bob stayed with my Dad in Toronto. Soon my Dad remarried. Those were tough times, but I love both my mom and dad. They both are with me, as yours are probably with you. I think Daddy would be happy to see what I am doing now with this newspaper. It is what I learned from him and my mom. My mom would edit his books, fixing spelling and grammatical errors for him. They were a good partnership. But things change, as I have learned in my own life, and here I am with a happy home, a wonderful wife and three great kids out in the world. I am so lucky. Thanks for being with me. At least 11 new songs, all written recently, are going to be recorded starting this week. Crazy Horse’s last studio album - ‘Psychedelic Pill’, was released in 2012 and this newest ‘Crazy Horse’ album should be released in 2019. 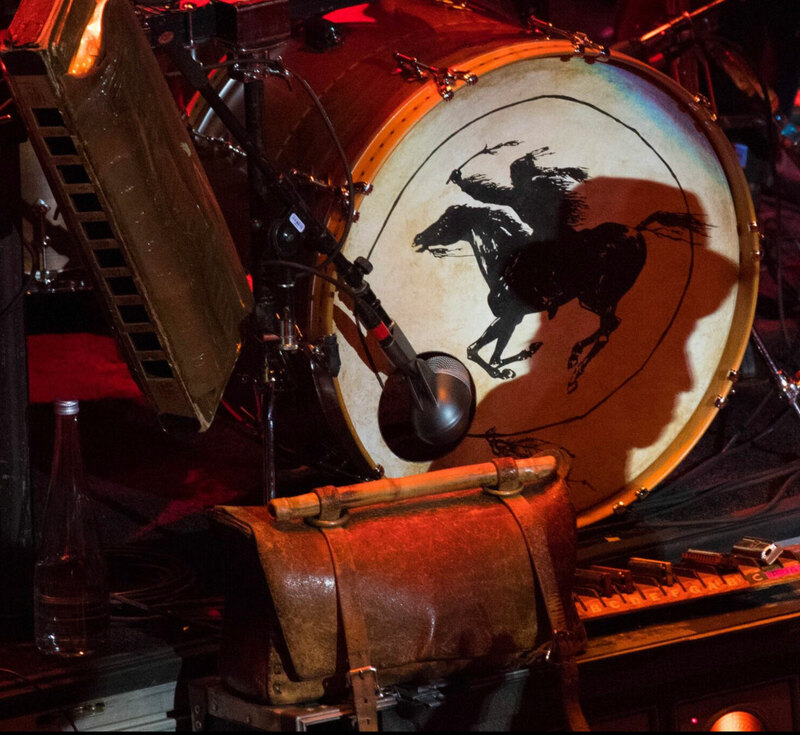 Nils Lofgren is an original member of the Horse dating back to ‘After the Goldrush’ and ‘Tonight’s the Night’. Nils, seen in shadow on the image above, will be with Ralph Molina, Billy Talbot and I, making our new CRAZY HORSE music high in the Rockies. ‘Crazy Horse’ history goes back to our original founding singer guitarist - the great Danny Whitten. When Danny died of a drug overdose in 1973, Nils joined us for Tonight’s the Night, playing electric guitar and piano in a wake for Danny and roadie Bruce Berry., who died a similar tragic death. 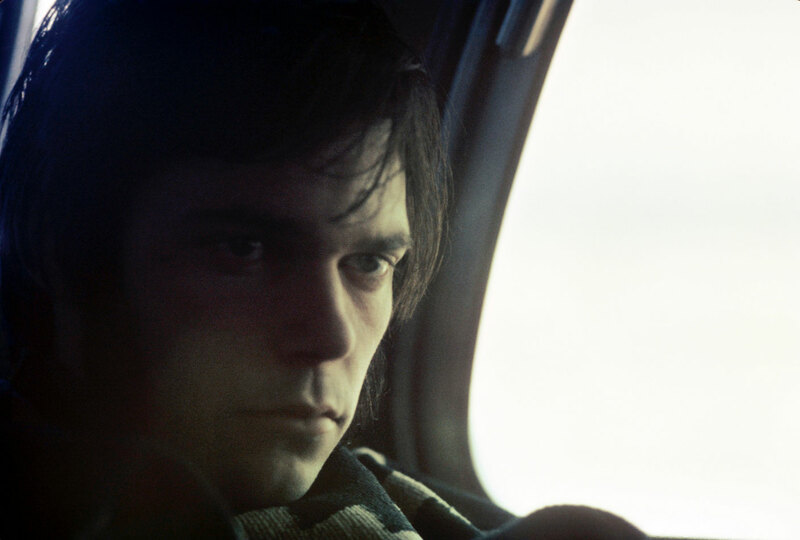 Previously, Nils had replaced Danny during most of the recording of 1970’s ‘After the Goldrush’, singing, playing both piano and acoustic guitar. Poncho Sampedro joined the band in 1975 and stayed with Crazy Horse until 2018, making tons of great music with us. The Band is excited to make this new album and continue our story. We sincerely hope you enjoy our new music when it is released this year because we know we will enjoy making it. We are very excited to get started in just a few days! RECORD STORE DAY! : Use the NYA finder and visit today for awesome deals and people! Use the NYA finder and visit today for awesome deals and people! Celebrate Record Store Day with NYA by visiting your local store! If you want to find it easily just use NYA. On every info card there is a vinyl record icon. Click that and enter your zip code. You will find a list of record stores near you where you can get our new vinyl releases. 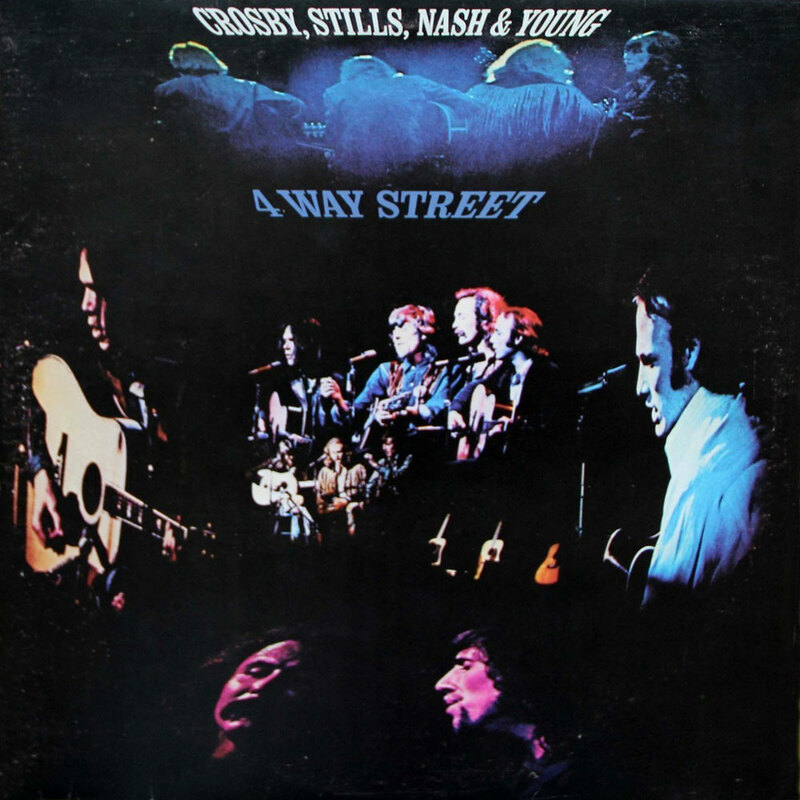 Our Record Store Day celebration is ‘Four Way Street’ a great live album from the heyday of CSNY. Hi everybody. Thanks for being part of NYA! I love writing in and editing this newspaper. My dad was a newspaper man and I have one of his old columns on my desk just to remind me. It is people like you, and those who write in to ‘Letters to the Editor’, who make this so much fun. I like to respond to your questions. I generally do this once a week and send it to the desk at NYA. It’s gratifying to hear how you all love the sound of this site. It has been a labor of love and it is built to last! However you came by it, I am thankful. We do try to have the music for you here as soon as it is prepared for you to hear. Each track has to be reviewed to make sure it is the highest quality we originally created. In some cases, we have songs in the vault that have not been added yet. There are many of these. We are going to be adding a lot of single tracks in the coming days, weeks, and months. There are more than enough of them to create an album called “Greatest Misses.” I think I am going to put that together. These are studio tracks, finished records that did not become part of an album, yet are really cool records. Then there are the unreleased albums. Somewhere between ten and fifteen of those are ‘in the can’ or under construction. They all need to be reviewed. John Hanlon, John Hausmann, Tim Mulligan and myself are doing that all the time. I am so gratified by your response to this archives site, the first of its kind anywhere. I would love other artists to use Xstream on their sites so their fans can hear the same quality my fans hear, but that’s up to them. Our streaming technology is available, so let your favorite artists know that it is, if you would like to hear that sound on their sites. Metallica is one band I would love to hear in Xstream as well as Foo Fighters, Nirvana and Norah Jones among many others, like Bob Dylan, J.J. Cale, Promise of the Real, Particle Kid, Prince, Michael Jackson, Phillies records and more. If you would like their sites to sound like NYA, just let them know. I am easy for them to find. Most of all, you are the ones who can make great music audio happen by supporting it the way you do here. I appreciate you so much! Onward into our future! Pete Buttigieg, the mayor of South Bend, Indiana, likes to imagine what America will look like in 2054, the year he’ll be 72, the same age as the current president. Will aging millennials still be paying off student debt as they apply for shrinking Social Security payments? Will Miami be a modern-day Atlantis beneath the swelling seas? The whole thought experiment makes more sense once you know that the 37-year-old Buttigieg is running for president. Because odds are you didn’t. Buttigieg is one of many underdogs vying for the 2020 Democratic nomination, and the youngest one to boot. His campaign is underpinned by the concern that young people today will likely be stuck with the problems created by older generations, especially climate change. Who better to fix them than a millennial like Buttigieg — a Navy vet and Rhodes Scholar — who understands what’s at stake? “You can’t just hope it’s gonna take care of itself if you’re concerned about how life is going to unfold for us all,” he said at a recent event in Seattle. In other words, when you adopt the concerns of the younger generation as your own, then you reach different conclusions. The state of the union in 2054 becomes your problem, so you start thinking long-term instead of short-term. “I fear that that perspective is not being taken on by people in power today,” he said. After the 2016 election, then-President Barack Obama told the New Yorker the names of four gifted Democratic politicians he saw as future party leaders. Three were senators in their 50s, and one was Buttigieg. But he’s still far from a household name. A recent poll of the 2020 Democratic primary field had him pulling in 1 percent of the vote. Should he defy the odds and win, Buttigieg would be the first openly gay president, though he wouldn’t be the first one with a funny name (it’s hard to top Millard Fillmore). The surname “Buttigieg,” pronounced boot-uh-judge, is Maltese and translates to something like “lord of the poultry.” So Buttigieg is known as “Mayor Pete” among South Bend locals. To learn about the two-term mayor’s vision for taking on the unfolding climate crisis, as well as what he learned from tackling environmental issues at the local level in a red state, Grist asked him about it over the phone. Two big floods hit South Bend in the past couple of years — floods that “should happen once in a lifetime, if that,” Buttigieg told me. So when he thinks about climate change, he remembers a family on the porch of their flooded house in South Bend, the night before the first day of school. “The family’s trying to figure out how to cope with being displaced because the flood has made their house unlivable,” he said. As Indiana warms, research shows, more devastating rains are in store. That’s a problem for South Bend, a city whose old stormwater system wasn’t designed to handle these deluges, and where heavy rains keep sending sewage into the St. Joseph River. Buttigieg had inherited an expensive stormwater infrastructure plan that the city couldn’t afford. So he prioritized “finding a cost-saving and environmentally-friendly solution to the stormwater problem,” said Therese Dorau, director of South Bend’s sustainability office. In 2017, he proposed a greener plan to manage floods with permeable concrete, rain gardens, and tree plantings — and in the process, saved hundreds of millions of dollars, Dorau said. Buttigieg recently wrote a New York Times-bestselling memoir about his mission to revitalize his hometown, called Shortest Way Home: One Mayor’s Challenge and a Model for America’s Future. 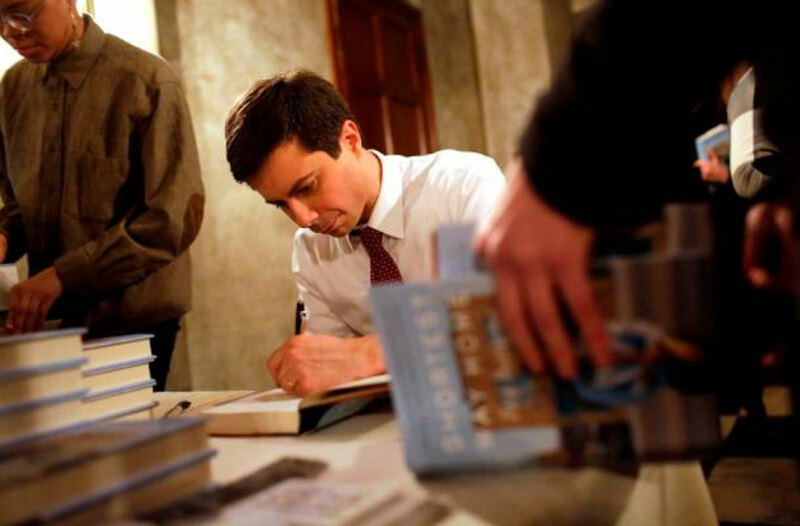 In 2011, the year Buttigieg ran for mayor, Newsweek listed South Bend as one of “America’s dying cities” because its economy had never fully recovered after a major car manufacturer left town in the 1960s. “I grew up at a time when people felt like success meant getting out,” Buttigieg told Politico. Since he took office in 2012, South Bend’s unemployment rate is half of what it was, and its population is starting to grow again. Buttigieg initially got to work on fixing the town’s abandoned building problem, demolishing and repairing 1,000 houses in 1,000 days. He’s taken advantage of the fiber optic cables running beneath town to transform it into a tech center dubbed the “Silicon Prairie.” “He loves to call us a beta city,” Dorau said. He’s installed a couple of free electric vehicle chargers downtown and has spent millions on greener buildings, parks, trails. He also spearheaded an effort to revive the city’s downtown with a $25 million project to make streets more appealing for businesses and safer for pedestrians and bikers, even as citizens complained about the big cost, the roundabouts, and the slower traffic. Buttigieg, for his part, intended to slow down cars — he’s fond of pointing to research showing that slower speeds are safer. To be sure, he’s not without critics. As some observers have pointed out, Buttigieg scolded Democrats after the 2016 election for fixating on winning the White House while overlooking local and state seats. But now, rather than running for governor of Indiana as some had predicted, he’s aiming for an improbable presidential campaign. He wants to eliminate the Electoral College, arguing that it’s undemocratic, and he probably wouldn’t mind kicking Vice President Mike Pence out of office (Buttigieg seems to have a vendetta against Indiana’s former governor). Buttigieg speaks seven languages conversationally, including Spanish, French, Italian, Maltese, and Norwegian (he told MSNBC he’s a little rusty on Arabic and Dari, which he picked up during his military service in Afghanistan.) Given this linguistic dexterity, it’s no surprise that Buttigieg has some tips for changing the way we talk about climate change. The changing climate is making the international environment less stable and less secure in countless ways, Buttigieg said, pointing to wildfires in California and droughts in the Middle East. “I think that anyone who uses the word ‘security’ in a 21st-century context had better be able to explain what they would be doing about climate change,” he said. In previous presidential elections, Buttigieg might have had that issue all to himself. This year, the competition is thick. There’s Governor Jay Inslee of Washington state, who’s running an explicitly climate-oriented campaign. And there are big-name 2020 contenders backing the Green New Deal resolution in Congress, like senators Elizabeth Warren of Massachusetts and Bernie Sanders of Vermont. As a presidential candidate, Buttigieg has called for billions’ worth of investment in research and development to lower the cost of solar and other renewable technologies. He also wants every American home to be a “net zero” energy consumer, with each roof lined with solar panels. “Uncle Sam is gonna mail you a kit,” he told Yahoo News (that’s assuming he manages to get elected). “The broader thing is to make it clear that there are opportunities, especially for working people and industry, that lie in the possibilities of dealing with this issue in the same way that the arrival of World War II was part of what made it possible for America to lift itself out of the Great Depression,” he told me. It’s an ambitious message. But the homegrown Indiana politician thinks that he can reach the Midwestern voters that coastal Democrats can’t. To illustrate his potential appeal with Trump voters, he likes to point to the 2016 election: Voters in his county were pretty evenly split on the presidential candidates but re-elected him with 80 percent of the vote. Read more We are at a time in history where everyone with any insight of the climate crisis that threatens our civilisation – and the entire biosphere – must speak out in clear language, no matter how uncomfortable and unprofitable that may be. We must change almost everything in our current societies. The bigger your carbon footprint, the bigger your moral duty. The bigger your platform, the bigger your responsibility. Adults keep saying: “We owe it to the young people to give them hope.” But I don’t want your hope. I don’t want you to be hopeful. I want you to panic. I want you to feel the fear I feel every day. And then I want you to act. I want you to act as you would in a crisis. I want you to act as if our house is on fire. In one of the many oddities of biology, kids hear differently than the rest of us. There are frequencies that only teens and young adults can make out. Lately it seems that the under-20 crowd is hearing one particular high pitch much better than the rest of us, including most business leaders: the alarm that climate scientists have been sounding. 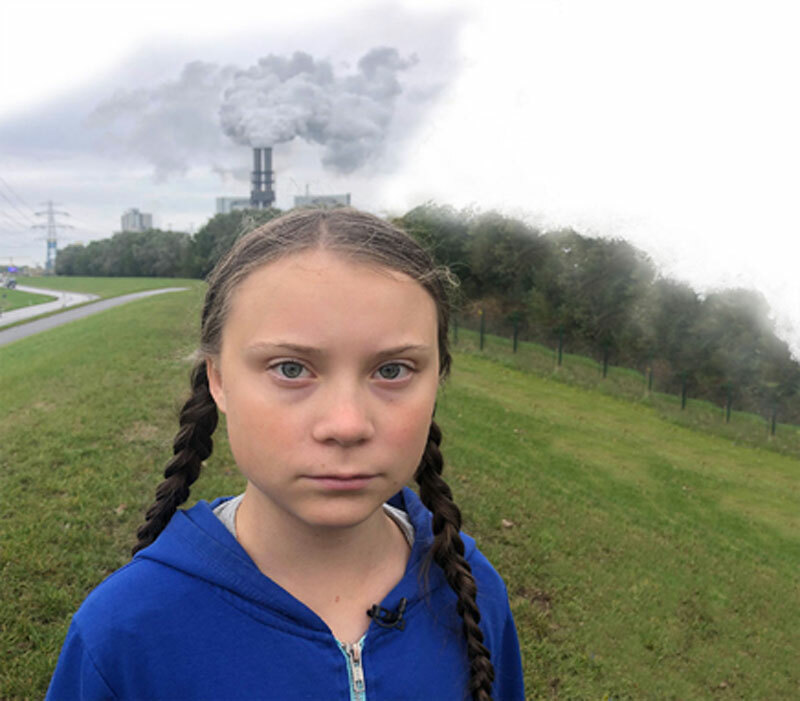 Consider the young Swede, Greta Thunberg, who just turned 16 in January. 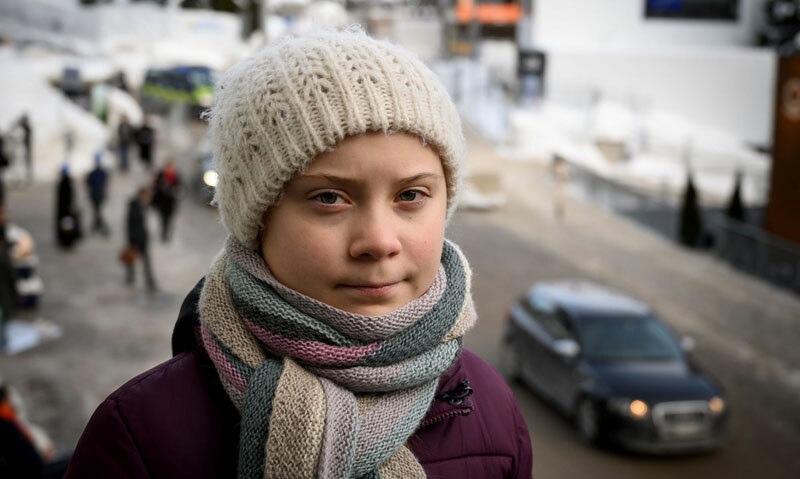 Last year, Thunberg stopped going to school to protest inaction on climate change, saying there was little point in studying for a future that may not exist. 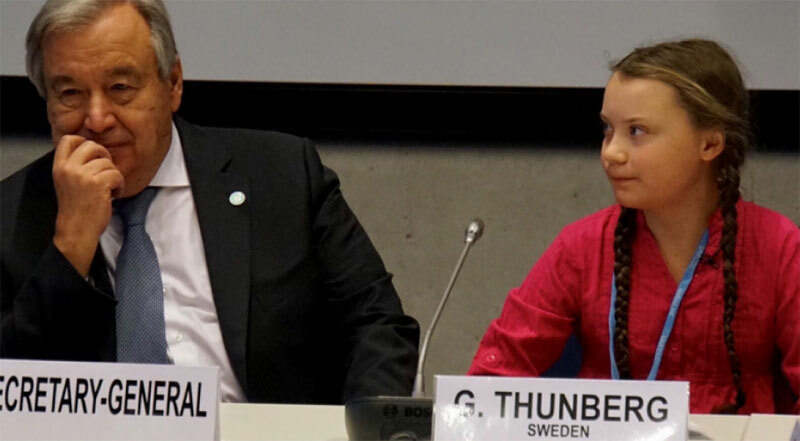 Within months, Thunberg urged immediate action from business leaders at the World Economic Forum and the told the UN’s Secretary General and others at the global climate summit in Poland that they are “stealing (childrens’) future in front of their very eyes.” What she started is growing, and she’s been nominated for a Nobel Peace Prize for her efforts. There’s more: A new youth group, the Sunrise Movement, recently held a somewhat contentious meeting with Sen. Dianne Feinstein of California about her support for climate policies. And a group of teens has sued the U.S. government for failing to protect them from climate change. 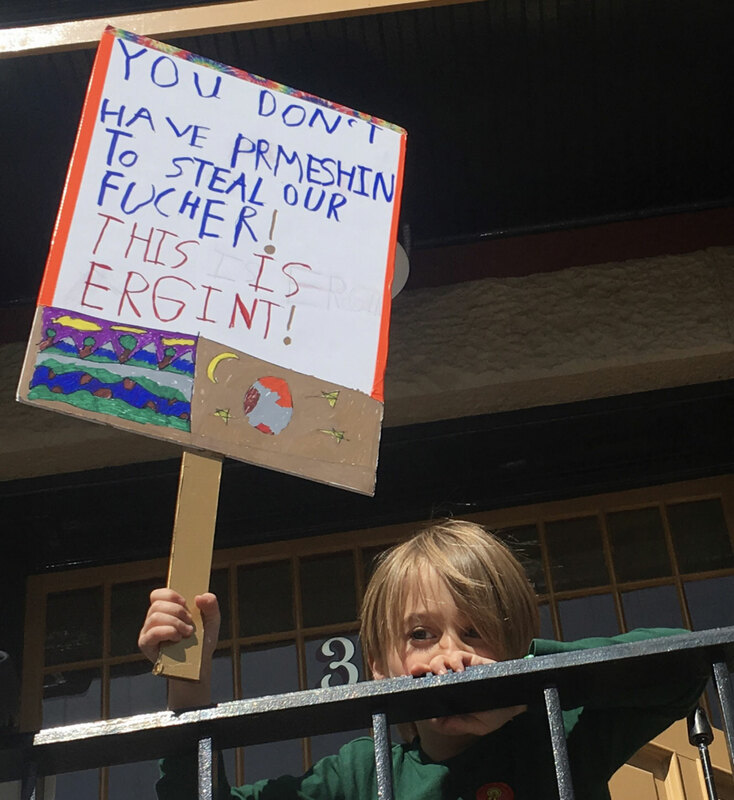 Younger politicians are making their voices heard, too. Also consider what 29-year-old Rep. Alexandria Ocasio-Cortez of New York has achieved in just a few months in office. By pushing a broad set of climate and inequality goals under the banner of a “Green New Deal,” the youngest woman ever elected to the U.S. Congress has moved the terms of the climate debate significantly. Before writing this off as a lot of noise, consider the role of youth in previous social movements. Baby Boomers, when they were kids and teens, led the anti-war movement. The famed Greensboro lunch counter sit-in was led by four young men aged 17, 18, and 19. African-American kids bravely desegregated schools, and the first person to get arrested for refusing to give up her bus seat was not actually Rosa Parks, but 15-year-old Claudette Colvin. A generation later, Gen X and then Millennials shifted the debate on LGBT rights and gay marriage at a remarkable pace. In fact, it’s hard to think of any substantial social movement that didn’t have young, fearless people at the center. And now, with the powerful tools of social media and 24×7 connectivity, the pace of social movements is quickening. The “Parkland Teens,” the survivors of the horrific school shooting in Florida last year, attracted millions of Twitter followers in days. Within just a few weeks, they called for marches, which over one million people showed up for around the world. Cut to a year later, and the U.S. House of Representatives just passed the first real gun control legislation in many years. Will this climate movement end up as significant as the anti-war, civil rights, and gay rights movements? It’s hard to predict. But what’s clear is that we’re in the middle of a major re-alignment of values around climate. It’s now unacceptable to young activists, and the millions of people they inspire, to espouse climate denial or play the “let’s go slow” card. They don’t appreciate being handed a disaster movie for them to live with for 70 to 80 years. This brings me to business, and a warning: no organization can avoid values shifts. Remember, there were moments in history where it was generally acceptable to use slave labor or children in supply chains, to wink at rampant sexual harassment in offices, and to freely dump pollution in rivers and the air. None of these problems are eliminated today, but very few in business would suggest that they’re ok. Morals changed, and then laws. And while executives do increasingly seem to be moving toward action on climate change, with public pronouncements to cut their own emissions or buy renewable energy are becoming the norm in large companies, it’s not clear whether are those actions enough to satisfy this next generation of customers and employees. In fact, companies seem to be more comfortable taking public stands on issues like race, immigration, gun violence, and transgender rights before speaking strongly on the environment. But that needs to change now. It’s time, in the words of U.S. Sen. Sheldon Whitehouse, for “corporate good guys” to “show up in Congress to lobby for climate action.” We need CEOs in the halls of power at the state and federal level pushing for aggressive policy. This isn’t a new idea, of course, but the history on climate lobbying is sparse. There are “DC visit” days organized by a few focused NGOs, and they’re always hoping for bi-partisan climate solutions. But in reality, with a few exceptions, only smaller companies have been willing to put themselves out there. The big guys sign on to public statements like “We Are Still In,” which is a good start, but is inadequate to the level of change required. They need to put some skin in the game and become more vocal and more aggressive. In practice, this will mean disagreeing with politicians, up to and including the president, who say it’s too expensive to act, or that climate is a hoax. In fact, a recent survey shows that 76% of Americans want companies to take a stand for what they believe, even if it’s politically controversial. It may just take the youngest Americans to get companies to take a real and public stand for aggressive global action on climate change; after all, if they don’t, they risk getting out of step with an entire generation of employees and customers. A chance to hover at the session that produced the live ‘Dead Man’ score and see the way it was done. Kind of like a silent movie score. Live in the theater, back in the day people played organ or piano along with movie live. Here, playing back the movie on about 30 small and large screens in Mason Sound stage in San Francisco south of Market, the music was played and recorded live as the movie played. One of the Greatest Films ever In the Halucinatory Western vein, if not the absolute best, Deadman features “Old Black” through a fender deluxe tweedy, a Baldwin Exterminator, a Magnatone stereovibrato, an echoplex, a fender reverb, an MXR analog delay, all driving a musitron octave divider. Some names have been changed to protect the innocent. Check it out at the Hearse Theater. This July, ’Neil Young + Promise of the Real’ will return to Europe, visiting Dresden, Berlin, Mannheim and Munich in Germany, followed by Antwerp, Belgium and Amsterdam, Holland. These shows will be their first return to Europe since 2016 and the band is jacked to be coming back again to jam in Europe! Check NYA homepage tickets Monday, Feb 25th for actual showdates and presales through NYA only. After a period of time the tickets will go public. Some shows will have reserved seating and some won’t because they are festivals. We hope to see you there, jammin’ with the Real. This last few weeks has been a thoroughly rewarding Theater Tour. I am thankful we got to play so many memorable classic theaters. from Milwaukee and Madison to Minneapolis and north to Winnipeg. RIVERSIDE, STATE, PANTAGES, ORPHEUM, OVERTURE HALL, BURTON CUMMINGS, CENTENNIAL CONCERT HALL, NORTHROP AUDITORIUM; they were all great and the music was living. Rolling through the Midwest during a Polar Vortex is a once in a lifetime experience I shared with many of the people I love. My crew, my family, my lovely wife. . . .we are all so happy to have been out on the road with these great crowds of music lovers. . . . . Many Archives crawlers and explorers are in the mix. Thanks so much for taking part! Heading home, we ran just in front of the cold as it slowly and wildly succumbed to the warmth heading South. Turning West into the sun now, we are thankful for our musical journey, and for our last show’s gift experience with the rumble-dream Crazy Horse of the future. NYA APP IS HERE! : High Res everywhere! Our IOS app is available free! Try it out and let us know how you like it! The Android version is on its way. It encountered cobwebs in the tunnel. They have been partially cleared by volunteer Elves. 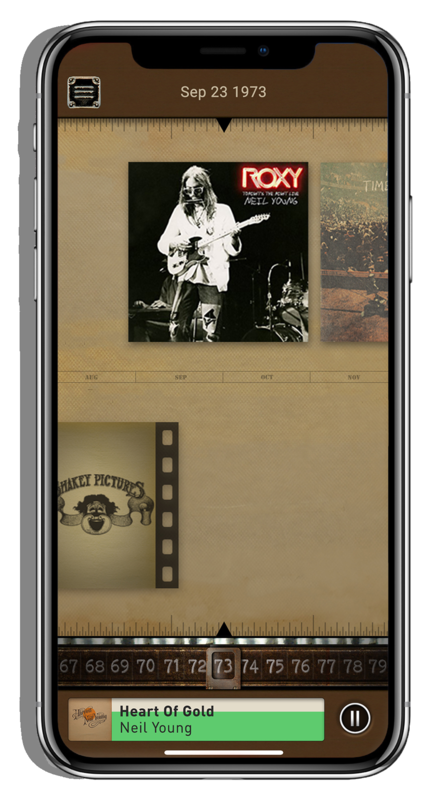 We will be giving you many hints on how to get full High Res from the archives app. NYA is streaming High Res where you are. Watch for articles at NYA. Cameron Crowe and Joel Bernstein tell how they did it. Joel Bernstein and I first met on a crisp morning in March, 1974. It was already an auspicious day. Neil Young had agreed to join The Eagles for a benefit at the Cuesta College Auditorium in San Luis Obispo. We were all together for the bus ride up the coast. Neil was notoriously press-shy at the time. I snuck onto the bus as a guest of the Eagles. There is a picture from the day, taken by Joel. Behind me, Neil is playing an early version of “For The Turnstiles.” (Later, passing some oil derricks, he would begin writing part of “Vampire Blues” on the same bus ride.) I’m just hunkering down trying to look like I belong. We became fast friends that very day -- Joel the photographer (and guitar maestro-technician), and me the journalist. Our shared aesthetic was rigorous. As fans, we loved the raw and the real. For example -- the demo was usually our favorite version of any given song. Joel the artist worked almost exclusively with available light. We viewed ourselves as documentarians, there to catch the spirit in the air. We even had a nickname for ourselves – Eyes and Ears (from the old movie newsreel "The Eyes And Ears Of The World") . We still do. Joel and I went on many assignments together, and one of our early adventures was for Rolling Stone. I was invited on Neil Young and Crazy Horse’s 1976 North American tour. Joel was already on tour as Neil's guitar tech, and was also documenting the shows by recording them. Full disclosure: I was in heaven. I'd been the photographer on Neil's Time Fades Away tour in 1973; Neil was tuning his own acoustic and electric guitars himself before each show with the help of a Conn Strobotuner, a curious device featuring a display with a backlit, spinning disc of concentric circles. Based upon the stroboscopic effect (as when a plane's propeller or wagon wheel appears to stand still or be turning backwards), it could show very fine, real-time information, when read correctly, of the pitch of a plucked guitar string and enable acoustic or electric guitars to be precisely tuned. One night, he remembered that back at the Electric Factory in Philadelphia, I'd tuned his Martin D-45 quickly and well when he had to go onstage. So, a bit like Huck Finn showing Tom Sawyer how to whitewash a fence, he explained to me how to use the "strobe," and I then tuned those guitars for him before each show. I then became a guitar tech first for David Crosby & Graham Nash and then for Bob Dylan's second Rolling Thunder Revue earlier that year. Before going on Neil's tour, I'd gotten a Uher portable cassette deck so that I could listen to my favorite recordings on cassettes made from LPs and tape recordings while I was traveling. I asked my friend and, my friend Bob Sterne if I could get a feed of the PA mix made by Neil's house engineer Tim Mulligan to my guitar work station by the side of the stage, so that I could record while I was working. These would be of only incidental interest to Neil, because these were mono cassettes of the PA mix, unsuitable for release b) Tim was also recording the shows on cassette from the front of house, which technically should have been superior to mine, and c) because earlier shows on the same tour, in Tokyo and London, had been professionally recorded and were already being fashioned into a live album. Nonetheless, having been on tours with Neil for years, I knew that there would be magic. The stage was moodily-lit by Chip “The Brown Acid... is not specifically too good” Monck. Neil stood at the center, between two antique-wooden Indians, each holding a legendary guitar. One, a Gibson Flying V, and the other the even-rarer Gibson Explorer. These were not incredible reproductions. These were the real guitars. The shows were reckless and beautiful. Every night. The evenings began with an hour-long acoustic solo-set from Neil. The acoustic portion of the evening morphed nightly, often fueled by a smoke or two just behind the curtain. 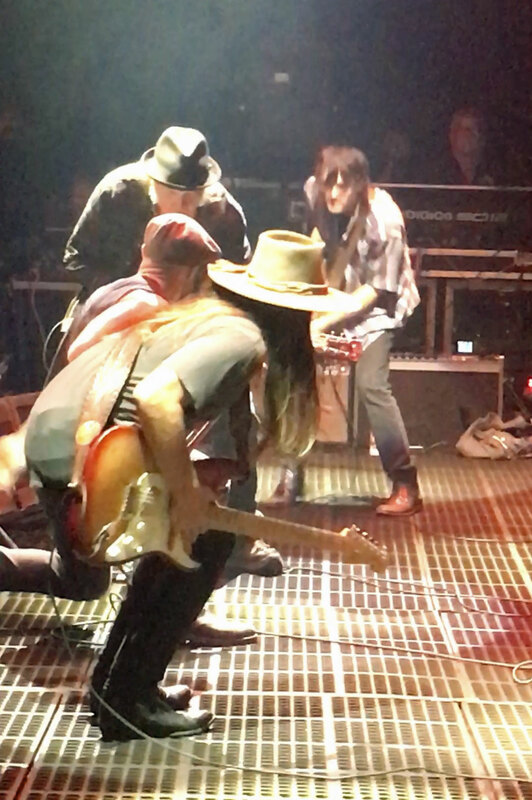 After a break, Neil and Crazy Horse would return for a barn-burner of an electric-set designed to level the place. They succeeded nightly. Just two years after the big-arena explosion of CSNY’s 74 summer tour, Neil was back with something even more potent and personal. The tour began at the Dorothy Chandler Pavilion in downtown Los Angeles on November 1, 1976, the day before Election Day. Neil started with a solo acoustic version of a powerful, unreleased song called "Campaigner." I immediately realized that making these tapes was in fact a great idea. I was soon raiding malls for whatever blank C-90 cassettes I could find along the way. The U.S. leg of this tour was brief (18 shows in 12 cities, in 24 days) but the performances were at their best intense and thrilling. As the tour continued, the cache of cassette-tape grew, all of them filled with gems. Midday through the tour, on Neil's 31st birthday, he invited Cameron and I onto his tour bus, Pocahontas, parked in the snow in front of the Edgewater Inn, in Madison. Neil and I might have smoked a joint. Then Neil said, "Oh, I've got to make a phone call." This no doubt meant that Neil would have to return to the hotel, but he stayed put. "Just wait a second," he said, and opened up a leather attaché case on the table. Inside was a telephone that looked like a prop from the 60's TV show Get Smart. "It's a satellite phone," said Neil. What is that? It's 1976! We're on his bus! He makes a call to Mo Ostin, president of Neil's record label, and to our amazement, cancels the release of his 3-LP compilation Decade; months in the making, already pressed, and scheduled to come out imminently. The last two shows of the tour were to benefit the restoration of Atlanta's historic Fox Theater, where we were playing. After the first show, an unusually long interval occurred before the second, midnight show. To celebrate the end of their months-long international tour, the band had found an excellent combination, that included at least Tequila and marijuana, with which to commune. One of the results, when the midnight show began after one, was the unparalleled rap in which Neil conjures up the spirit of Judy Garland, a vision which would have vanished but for this recording. By the time the last show was over, and we loaded up the trucks for the last time, Tim Mulligan, Neil's mixer, and I realized there was no point in trying to get any sleep; we had to catch the earliest flight to San Francisco. It was Thanksgiving, but we both had another show later that night with Neil... they said it was going to be called The Last Waltz. Joel and I made a pact. After the tour, we’d get together at Joel’s San Francisco apartment, and make our own “essential” audio-compilation of the tour. The goal was to create our definitive collection of the acoustic and electric performances. Each would feature one performance of every song that had been performed, and it should fit onto a ninety-minute cassette. We began, of course, with acoustic sets. Joel listened to all the performances and whittled them down to three or four best-versions. In some cases, if Neil only performed the song once, that one version would be included. The acoustic shows were sparkling, sometimes stoney, often surprising, and always heart-felt. You might get a “Losing End,” or even a “Love is a Rose.” Neil would regularly engage in conversations with the audience, including one epic monologue from a late show in Atlanta that became a darkly comic-centerpiece of our collection. Young had always been a sharply witty stage conversationalist, but this one intro to “Too Far Gone” took a psychedelic journey to Oz and back. For days we listened and compiled. It was deliriously painstaking work. Wake up, eat breakfast, dive back into the recordings. 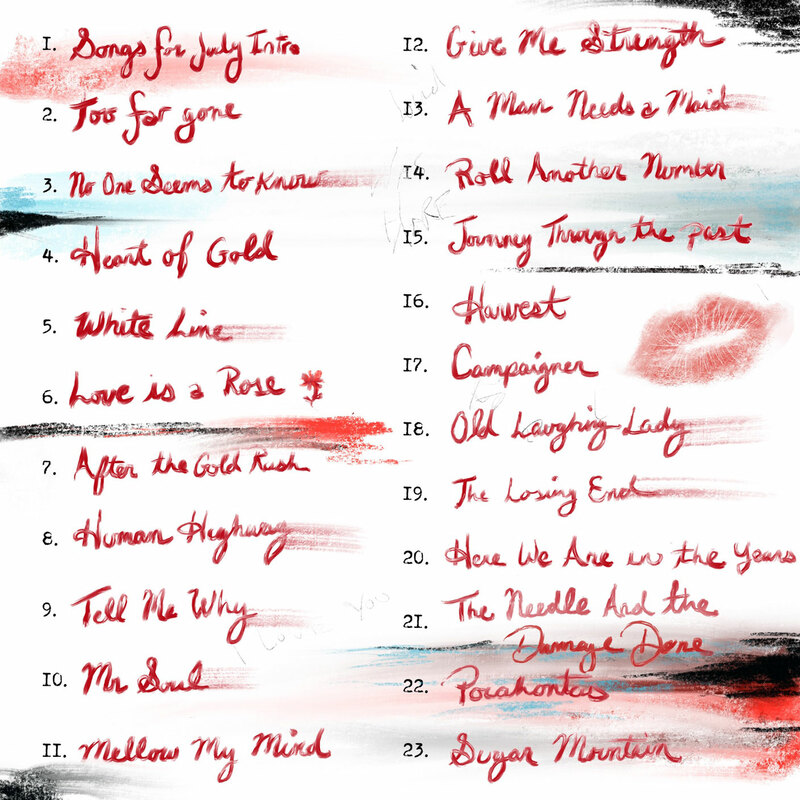 Decide which of the 12 versions of “Old Laughing Lady” was most essential. Repeat. Cameron, reading your account reminds me of just how much fun it was to do the listening and our notes, and discuss each performance until we agreed "that's the one." 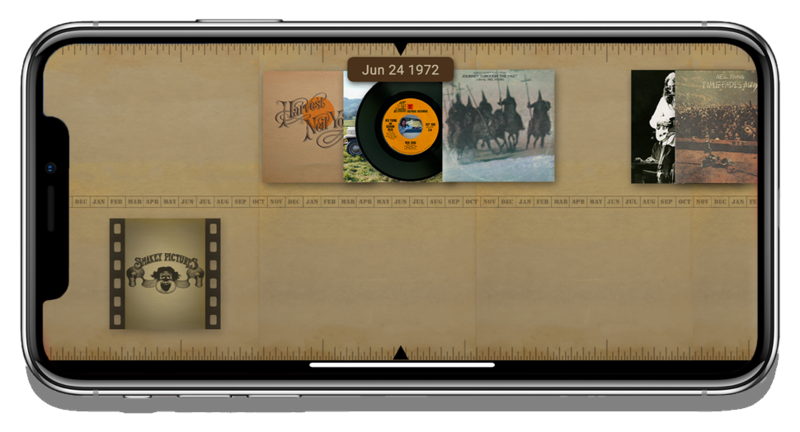 After you and I made our selections, I went next door to Graham Nash's home studio, Rudy Records, and transferred each song we'd chosen to reel-to-reel, then cut it together into two reels, one for each side of a cassette. I made three cassette copies of the tape compilation; two went to the two crew members who got me the audio feed of Tim's PA mix each night. (Audio nerds: to accomplish this required these adaptors: XLR > 1/4" > RCA > DIN.) At the time, it seemed the right way to repay them for taking the time to do that. I cautioned them each not to copy the tape, and to keep it in a safe place. A few years later, one of them called to tell me he couldn't find his copy of the compiled cassette. A little later, a copy of a copy of a copy of that cassette became the master tape for a bootleg LP; just what I'd been trying to avoid. Years later, I was interviewed for Neil's fan club magazine, Broken Arrow, and was asked what I knew about this (to fans) mysterious compilation, and told the story to the journalist, who wrote a piece about it, after which the bootleg was referred to as "The Joel Bernstein" tape. We never made it to the electric sets. Such was Joel’s attention to detail, and our shared commitment to exploring every crevice of the 1976 acoustic rabbit hole, by the time we finished part one, we were spent. We took a little break. Decades passed, but we always returned to the joys of this compilation. The tour had been so satisfying, and so different from all that rock would become in the ensuing years, something indelible was captured in our humble collection. Listening to it today is a little like discovering postcards from home. It was a precious time in Neil Young’s journey, a breath of oxygen in between some of his biggest adventures. Everybody involved was cresting towards another career peak, Rust Never Sleeps was just around the corner, and you can close your eyes and imagine the thrill in the room. It’s Bicentennial year in America, Neil Young and Crazy Horse are in your town, and out walks Neil with his acoustic. Press play.